McDonald’s is testing a service that lets customers order their meal before they arrive at a restaurant and then collect it and pay by scanning a QR code. The pilot its taking place at 22 locations in the Columbus, Georgia area, Business Insider reports. 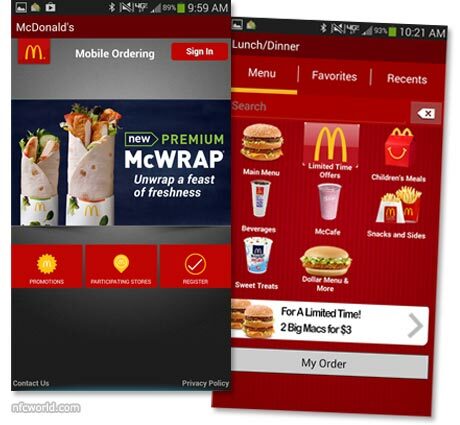 To use the service, customers download the McD Ordering app and link a credit or debit card. They then order ahead using the app and, when they arrive, scan a QR code at the restaurant. The customer’s card is then charged for the order, they are assigned an order number which is displayed by the app and staff begin making their meal. The app also includes support for time-limited special offers, favourites and a recent order history. So, the other side of the world has been using this for years and Dunkin Donuts for at least a year and a half here in NY. What good does it do to order ahead and then not have them start your order until you arrive? I realize that McDonalds food doesn’t hold up for long but it seems like an odd system. The idea is that it saves the customer having to queue up to order and pay when they get to the restaurant. It also saves McDonald’s from having to pay staff to manually take orders and payments.